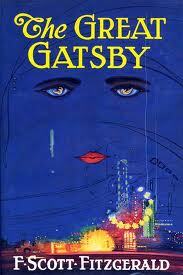 Care to join in an online book discussion on The Great Gatsby? Beginning the week of 10 September, this site will host a discussion on F. Scott Fitzgerald’s 1925 classic of American Literature. Composed of only nine chapters, Gatsby is the perfect book discussion novel for the busy reader. Leave a comment if you’re interested in participating and then dust off that copy you read in school, stop by a great second-hand store, order online or download to your favorite e-reader. This 2011 news story talks about the demise and demolition of one of the many mansions that over the years has claimed to be the inspiration for the Gatsby house. Note however that Sands Point would be East Egg – where Tom Buchanan had his mansion not Gatsby. I’m in. But I’ll probably read it closer to movie time. I’m down for this since I never read Gatsby, but I’m more interested in reading the novelization of the upcoming film. Collectors, don’t forget to pick up your “Now A Major Motion Picture” Edition! LOVE, LOVE, LOVE Gatsby. So they are doing a movie then? I went through the book again earlier this year–I actually listened to it on Audible–so I’m relatively prepped for a discussion. Sooooooooo smooth. A book that very much reminds me of the Great Gatsby which I might like almost just as well is the Mysteries of Pittsburgh by Michael Chabon, which I recommend to any Fitzgerald fan who hasn’t already read it. Thanks for the invite Mark! Get in touch with me if you need anything, brutha.